Albertson's had USDA choice briskets on sale for $1.69/lb so we just had to smoke another one up! I picked up a 12 pounder and as usual we had to cut it in half to fit in our little bullet smoker. 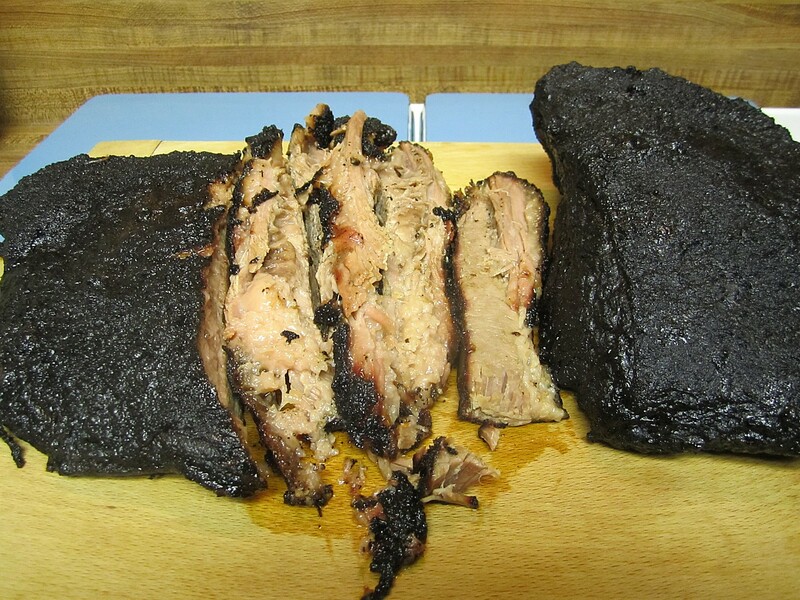 Usually, we have just spiced it up and put it straight in the smoker. This time I spent some time trimming off the extra fat. This was "packer trimmed" so I removed about 2 pounds off the fat cap. 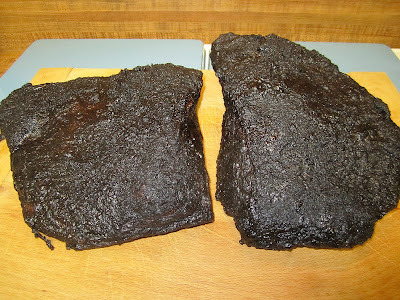 That left about a 10 pound brisket which we smoked for 13 hours. I have to say the extra trimming was well worth the time. All that flavor which is usually lost in cutting away that thick fat cap was now retained in the meat and in a thin well rendered fat layer that made for tasty eating. 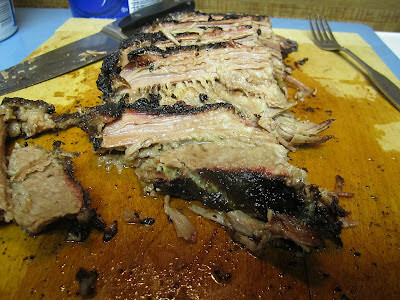 Moisture and tenderness were perfect and the smoke flavor was deep throughout. 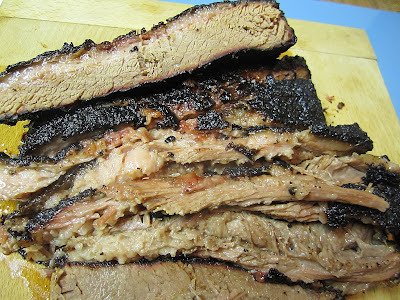 My Mrs gets all the smoke credit because she kept the wood stoked and the smoke smoking all day long! They had chicken on sale, too, but that's for another day!